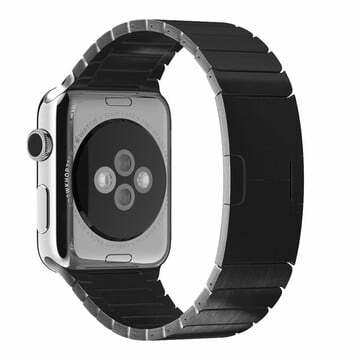 One of the things we all love about the Apple Watch is the ability to quickly change out the bands. It's arguably one of the stand out features of the Watch, giving us the ability to go from a Watch that looks sporty to a Watch that looks like jewelry. 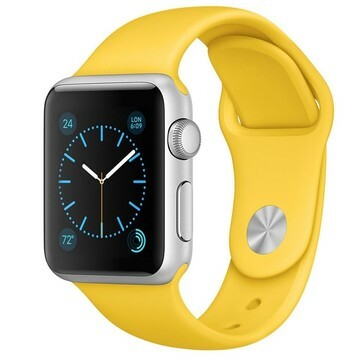 Unfortunately, Apple Watch bands can be quite expensive with prices starting at $49 and going up as high as $669 per band. 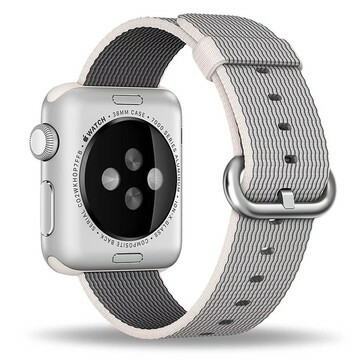 The simple truth is that most of us can't afford to spend hundreds of dollars on various bands. But what if there was an alternative? That's our goal here at WatchAware. We want to find the best third-party Apple Watch bands and make them easy for you to find. 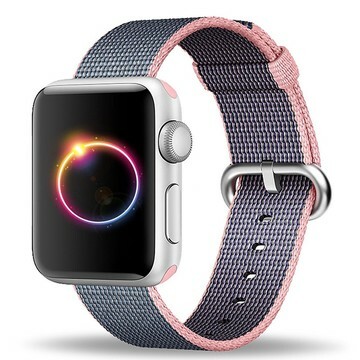 Instead of sifting through dozens of different sellers, our aim to help direct you to the very best of each style and color without having to worry if you're getting a good band or a piece of crap. Oh, and just so you know, we do not represent any of the companies published on this page. We're purely focused on finding the best bands at the best prices. Nothing more, nothing less. We update this page regularly with new styles and colors, so be sure to check back frequently. We'll also be doing in-depth reviews of many of these bands so be sure to stay informed by following us on Twitter. If you'd like to contact us regarding a band you think we've missed or something you think our audience would like, please do so by shooting us an email. The JUUK Revo Link Bracelet is a great band if you want something that is well-built, but some subtle differences. 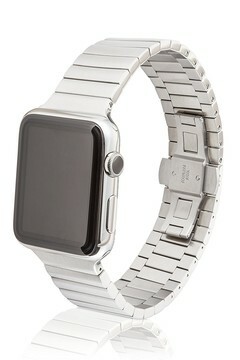 Unlike Apple's bands, the JUUK Revo has a clasp that essentially disappears, with an almost infinity-like look. It's a niy different, but it looks really nice. 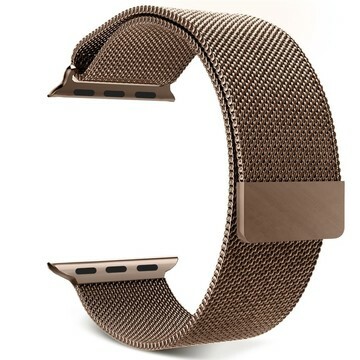 Plus at less than half the cost, this band is one of our favorites. The JUUK Revo Link Bracelet is a great band if you want something that is well-built, but some subtle differences. 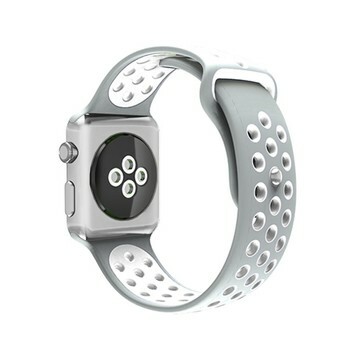 Unlike Apple's bands, the JUUK Revo has a clasp that essentially disappears, with an almost infinity-like look. It's a bit different, but it looks really nice. 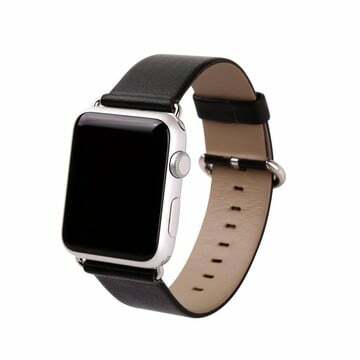 Plus at less than half the cost, this band is one of our favorites. 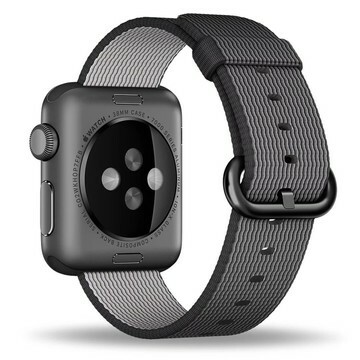 If you're looking for an Apple Watch band that looks similar to the Classic Buckle, this band pretty much does the trick. 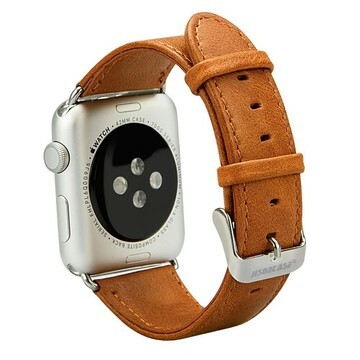 This band is made using top-grain leather and the buckles are nearly identical to one's Apple uses. 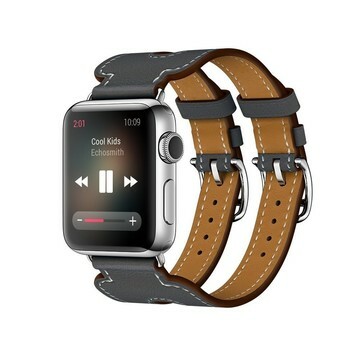 However, when compared to original Classic Buckle the leather is thinner and doesn't have the same natural feel as Apple's high-quality calf leather. If you can get past that, then this is a great band, especially for the money. 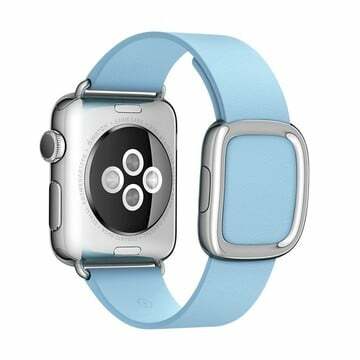 While this doesn't look very much like Apple's Classic Buckle, it offers something very similar at a fraction of the cost. 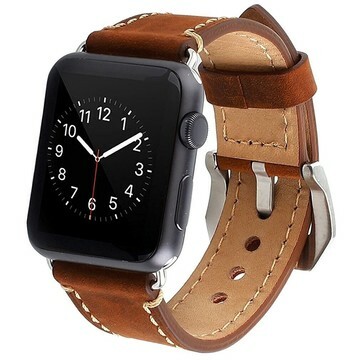 Not only is the leather on these bands genuine and well-sourced, but they are also stitched to ensure they last a long time. 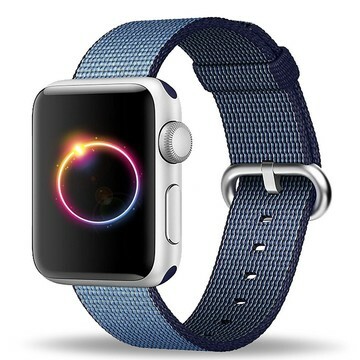 Just be sure that when you buy this band, you are aware that the connectors are stainless steel. If you have any other model, it will not match perfectly. 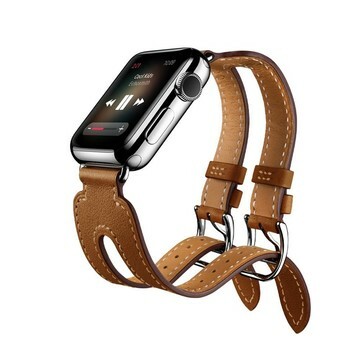 While this Jisoncasse Leather Band doesn't look very much like Apple's Classic Buckle, it offers something very similar at a fraction of the cost. 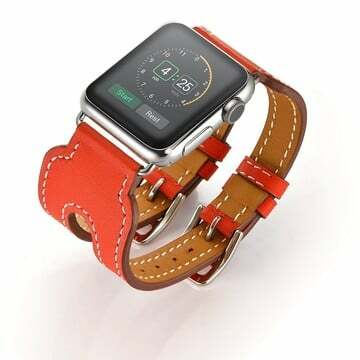 Not only is the leather on these bands genuine and well-sourced, but they are also stitched to ensure they last a long time. 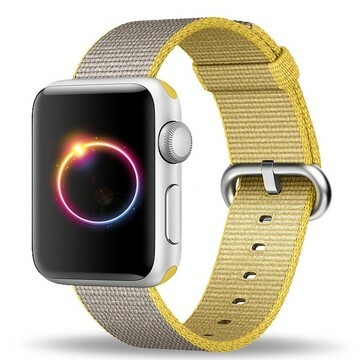 Just be sure that when you buy this band, you are aware that the connectors are stainless steel. If you have any other model, they will not match perfectly. 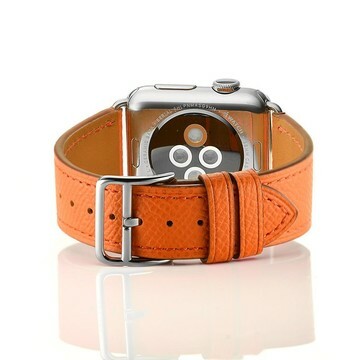 Nothing at this price is going to really feel like a true replacement to anything Hermès makes, but if you want the look that comes close, then this is the band you ought to get. The Leather isn't going to be as nice, but when you're spending this little you can't expect that. Still, this band looks great and gives the Apple Watch a luxury look without having the spend luxury money. 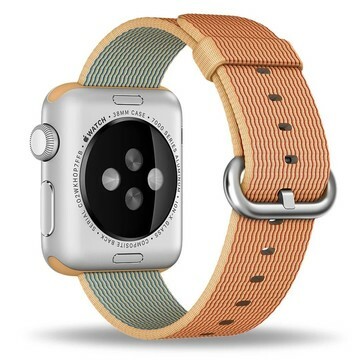 If you're looking for an Apple Watch Leather Loop replacement, this is the best you're going to get. While it looks similar to Apple's and costs much less, there are some things that make it inferior. 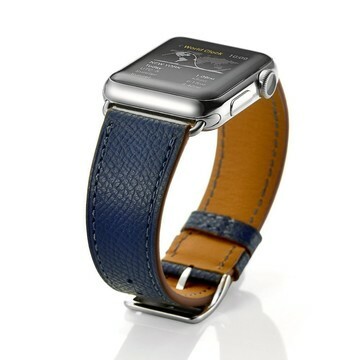 First, the leather is simply not as good. It feels a little more rubbery than real leather would feel. 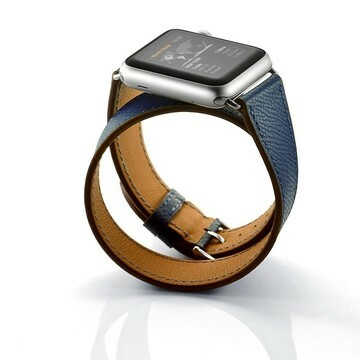 Second, a few users report that the connection between the Watch and band can off, with the leather hanging off the side of the Watch. 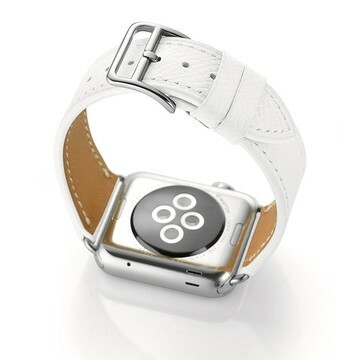 And third, if you have small wrists, the band can run a bit long, resulting in a strap that hangs. 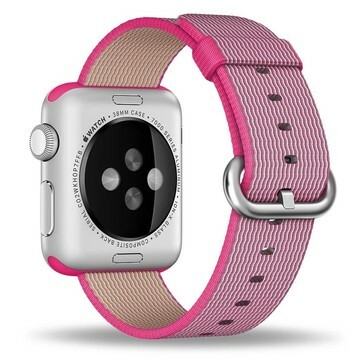 That said, most users are very happy with this band, especially given that it's nearly 90 percent cheaper. 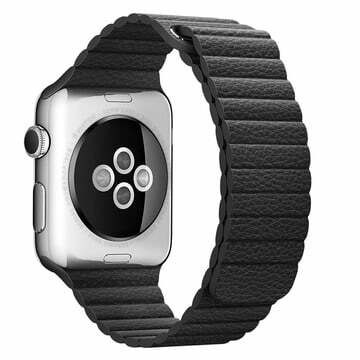 If you're looking for a grey Apple Watch Leather Loop, this is the best you're going to get. While it looks similar to Apple's and costs much less, there are some things that make it inferior. 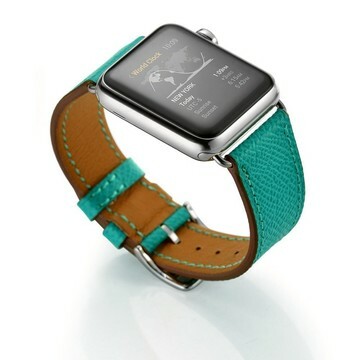 First, the leather is simply not as good. It feels a little more rubbery than real leather would feel. Second, a few users report that the connection between the Watch and band are off, with the leather hanging off the side of the Watch. 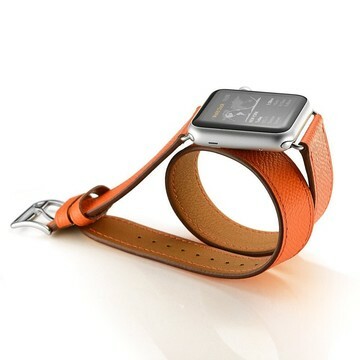 And third, if you have small wrists, the band can run a bit long, resulting in a strap that hangs. There's also a small issue that some users have said where the grey is a little darker than they would like. 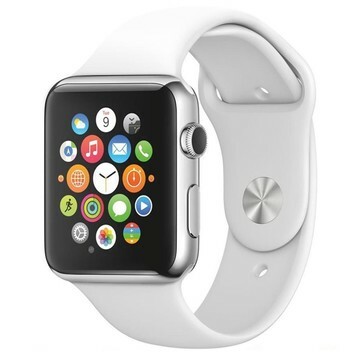 That said, most users are very happy with this band, especially given that it's nearly 90 percent cheaper. 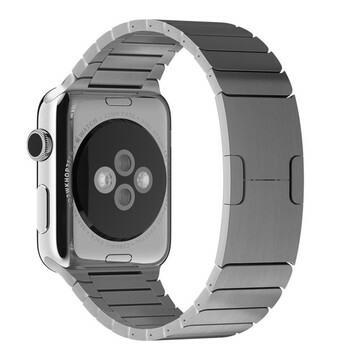 This Stainless Steel Link bracelet is incredibly well done given how complex Apple's own Link Bracelet is. Not only do the links look nearly identical, but you can even adjust them the same way Apple's does it on their own bands. Some users who buy the Space Black version report that the color can fade over time, but for the most part, people seem to have no problems. Overall, this is a really great band at a really great price. 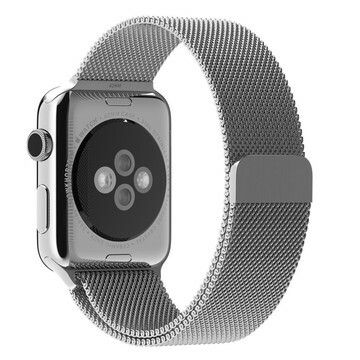 This replica Milanese Loop looks and feels just like Apple’s. It’s so good that we believe no one will be able to tell the difference while you’re wearing it. However, keep in mind, that some users report that the magnetic clip can sometimes be on the weak side, resulting in a broken band that doesn’t work. This replica Modern Buckle has much of the same aesthetics as the Apple Modern Buckle and, for many, will be a sufficient alternative to spending $250. 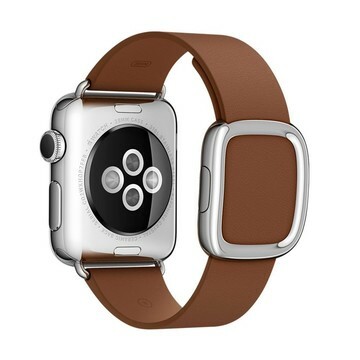 However, the quality the leather and clasp will likely not be as good as Apple’s, with some users saying that the leather feels thin and the clasp doesn’t feel as secure on your wrist. 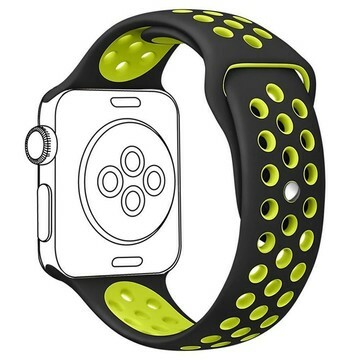 For those of you who don't know, you can't actually buy the Nike Sport band separately from Apple or Nike. Luckily, third-party manufacturers are already on it. This band is good, but not as good as the rest of the third-party Sport bands out there. Some users report problems with the connection to the Watch as well as issues with the buckle not being as secure. If you're not going to use this for running or strenuous activities, you should be fine. 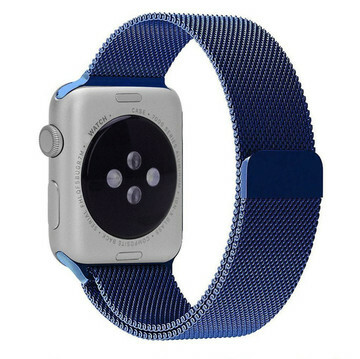 If you're looking for a great Nylon band replacement, look no further. 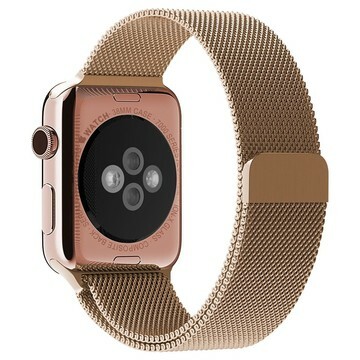 These bands are incredibly well done, looking so good that most people won't be able to tell you spent less than a third of what Apple offers these bands for. The best part is that these bands come in so many colors that you can grab of a few of them and switch up whenever your heart desires. This replica Sport Band is so well done, you’ll wonder why anyone would spend $50 on Apple’s version. 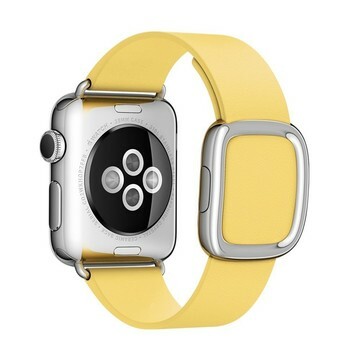 Everything about these bands is nearly identical to Apple’s, even down to the colors. The band is a tad thinner, but they actually offer more flexibility and better comfort. 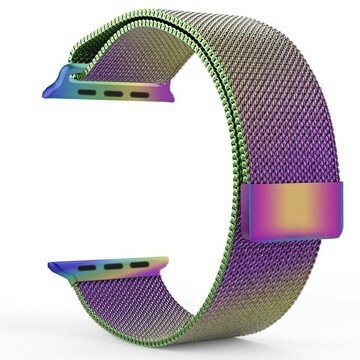 There are a few instances where wearers have shown some peeling on the surface of the band, but the vast majority of wearers have no encountered this issue. Overall, if you’re looking for a replacement Sport Band, this is an amazing value. If you're looking for an Apple Watch Sport band, but want something a little more unique, this band might be exactly what you're looking for. 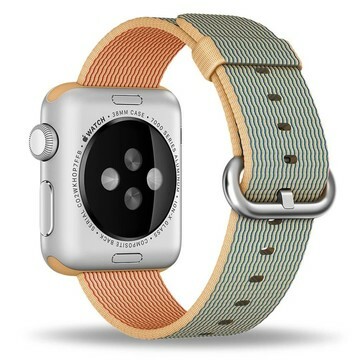 While it looks nearly identical to the Sport Band that Apple sells, it clearly comes in a pattern that is unique and just downright cool. 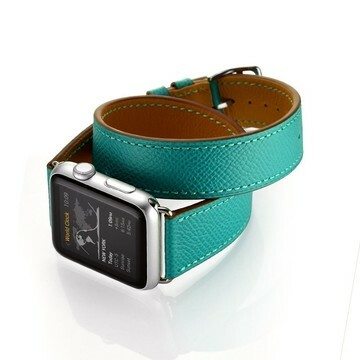 For those of your looking to add some serious color in your life, this is the band for you. 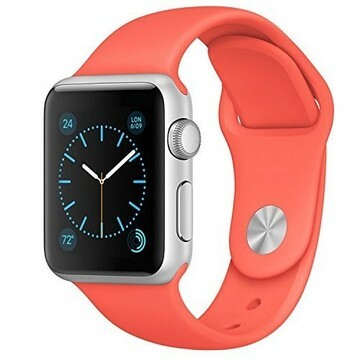 If you're looking for an Apple Watch Sport band, but want something a little more unique, this band might be exactly what you're looking for. While it looks nearly identical to the Sport Band that Apple sells, it clearly comes in a pattern that is unique and just downright cool. 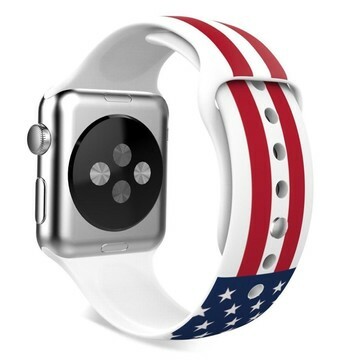 For those of your looking show your love for the United States, this is clearly the band you should get. Are you from the UK? 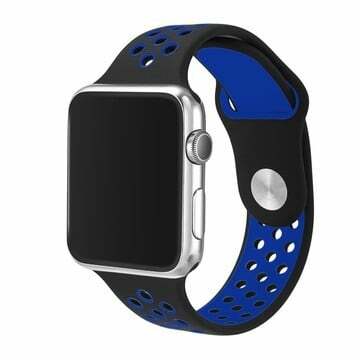 Are you're looking for an Apple Watch Sport band, but want something a little more unique? If that's you, we've got your covered. 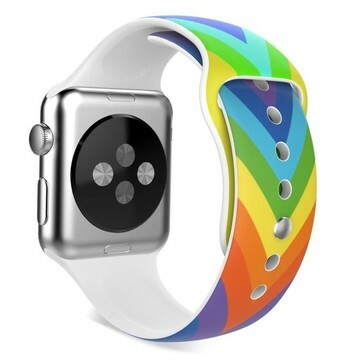 This band looks and feels nearly identical the one Apple sells, except that it obviously has the British flag printed right on it. 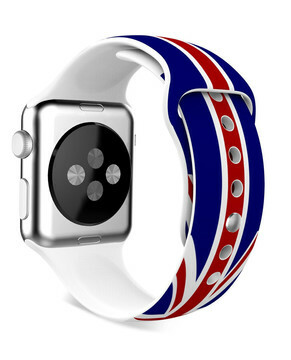 It looks and feels great and the colors don't bleed, which means you'll be able to represent the UK on your wrist for a long time.